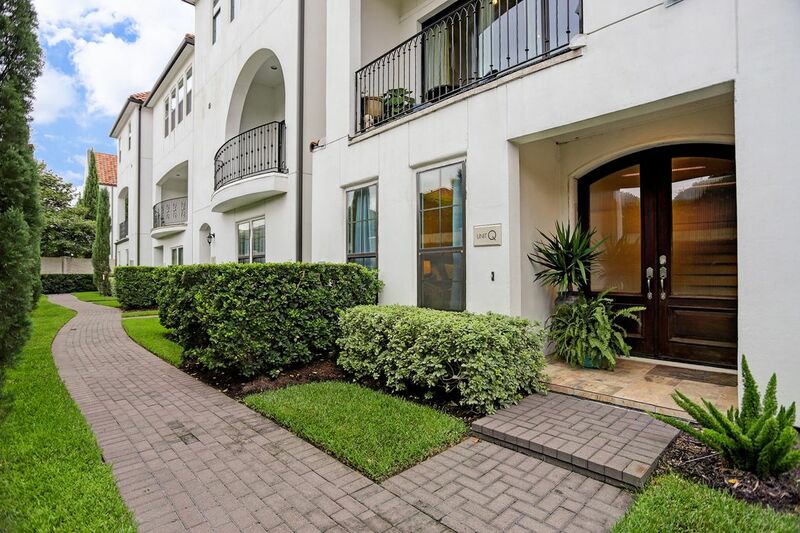 5531 Pine Street Unit#Q, Houston, TX 77081 | Martha Turner Sotheby's International Realty, Inc. 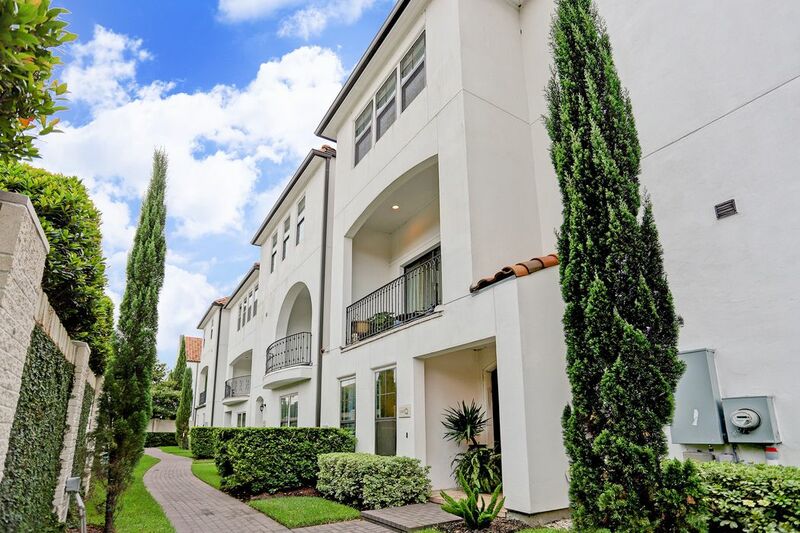 This community features a stone privacy fence, paved walkways and well manicured landscaping throughout. 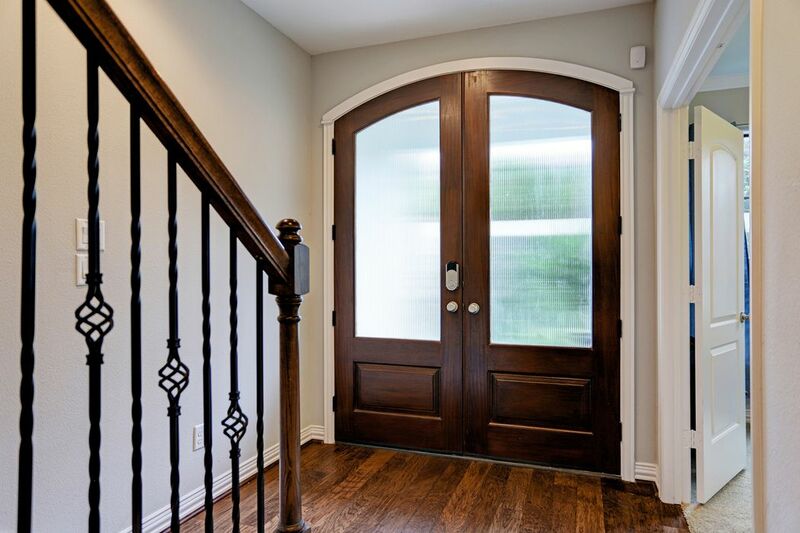 As you enter the front door, the entry features hardwood floors which continues up the stairs. There is one bedroom through double doors complete with en suite bath. The first floor bedroom features crown molding and tall windows for natural light. 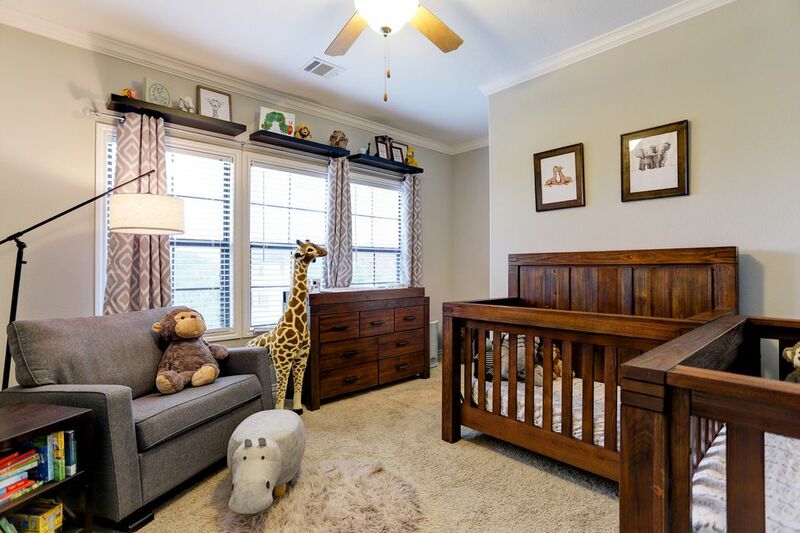 This room could be a private study or a downstairs master bedroom. 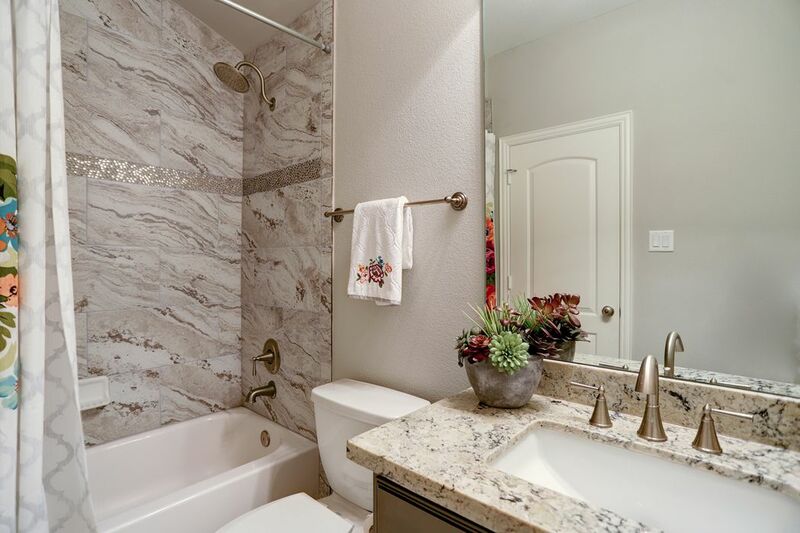 This en suite bath features granite countertop with brushed nickel fixtures, and a shower/tub combo with decorative inlay in the tile surround. The living room located on the second floor features hardwood floors, recessed lighting, and a gas log fireplace. There is access to the balcony through the glass door. 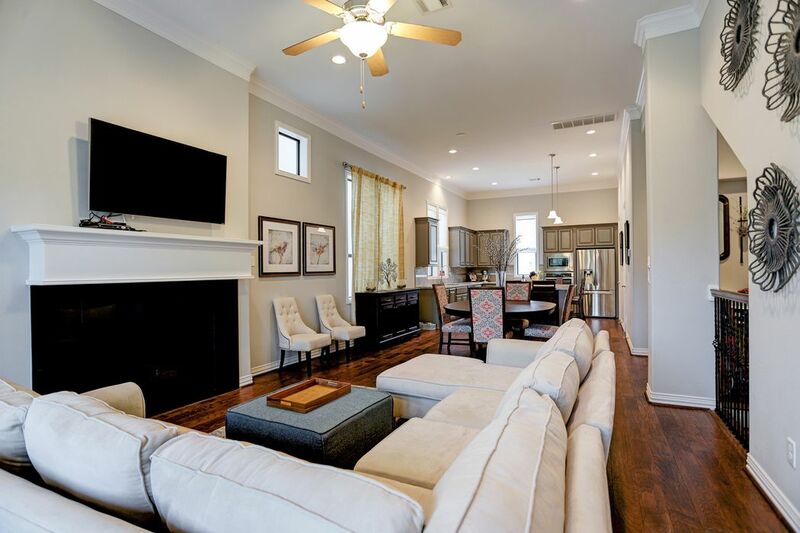 The open concept offers a great place to entertain! There is also a convenient half bath on this floor. Another view of the living space showcasing the stairs. 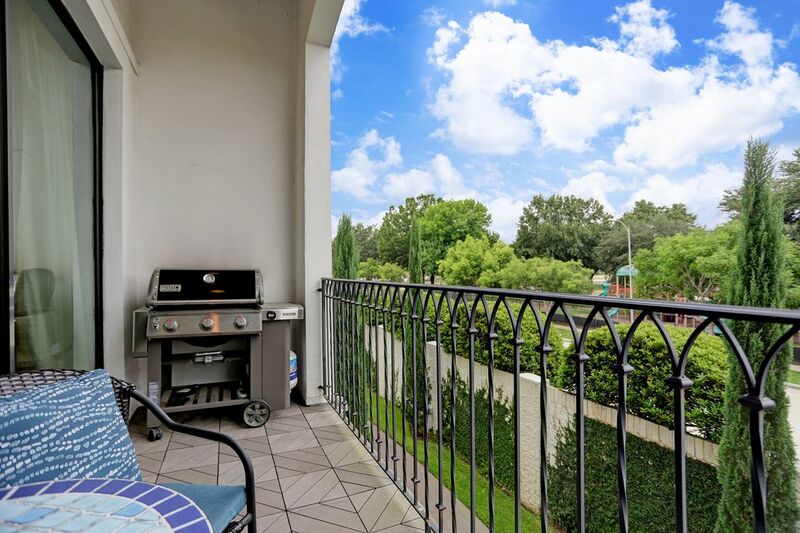 The balcony just off of the living room offers enough space to grill and relax! Nice views of mature trees and the park across the street. 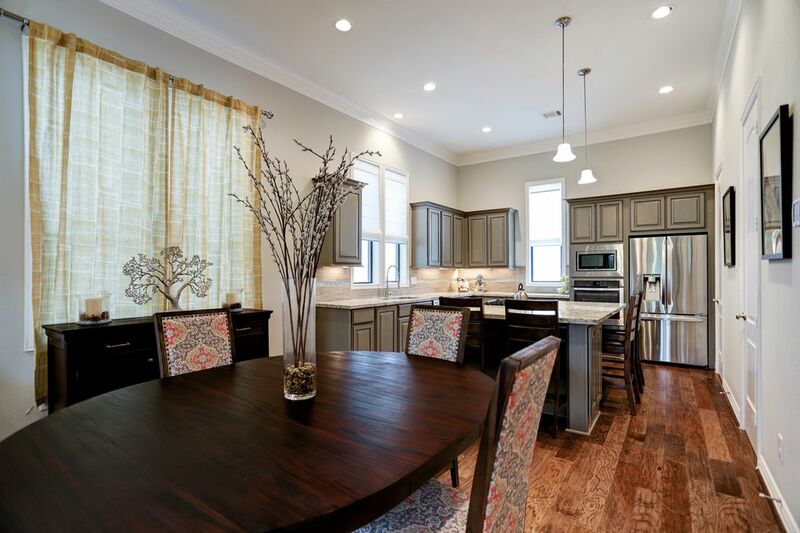 The dining room sits between the living room and the kitchen for an effortless flow. 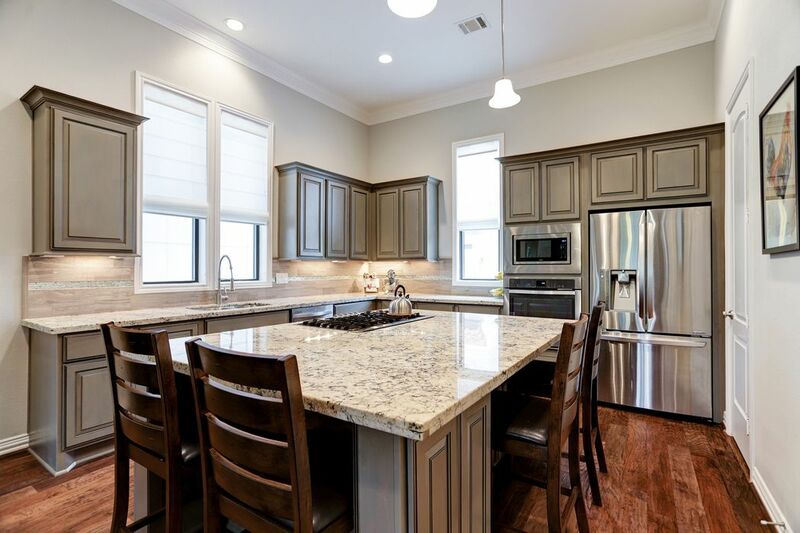 The island kitchen features stainless steel appliances, granite countertops, and decorative glass inlay in the backsplash. This is a great working kitchen! 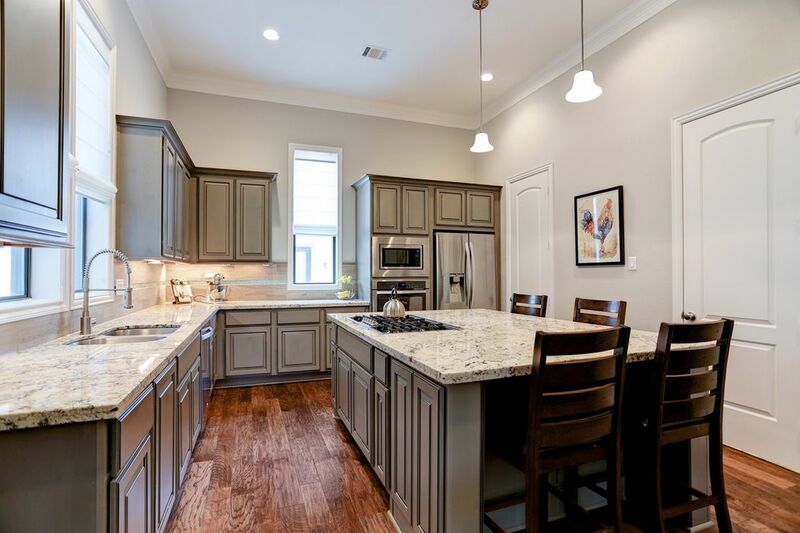 Lots of countertop space and cabinets, plus a pantry! The island hosts a gas cook top, bar stool seating, and has two pendant lights above. 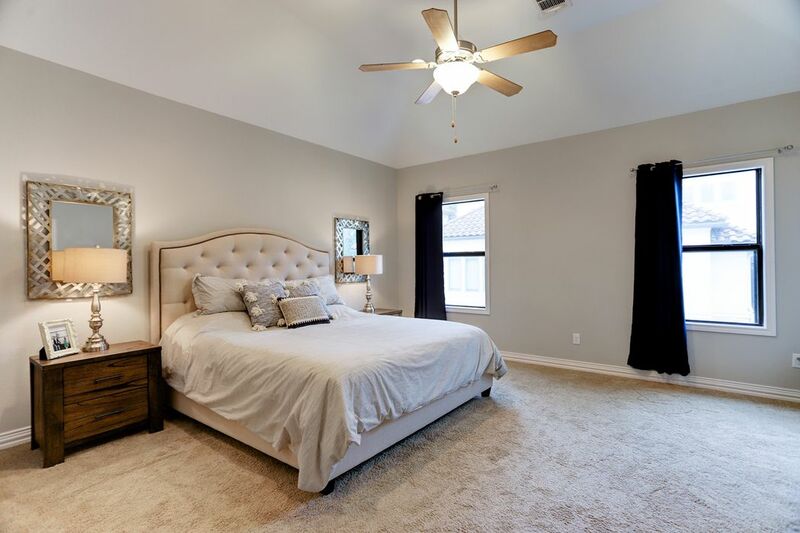 The spacious master suite features high ceilings, neutral tones, and a ceiling fan with light! Double doors opens up to the master en suite bath! 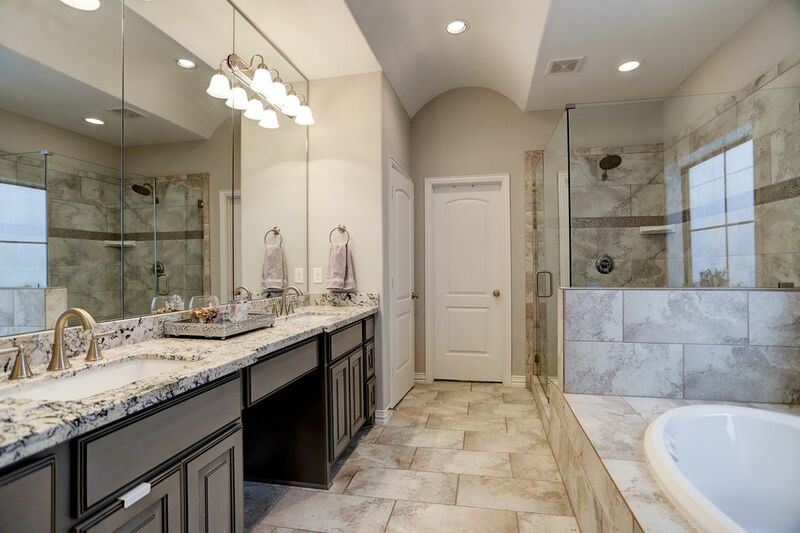 The functional master bath features a barrel ceiling, dual vanities, glass enclosed shower, and large walk-in closet! Separate soaking tub with jets! 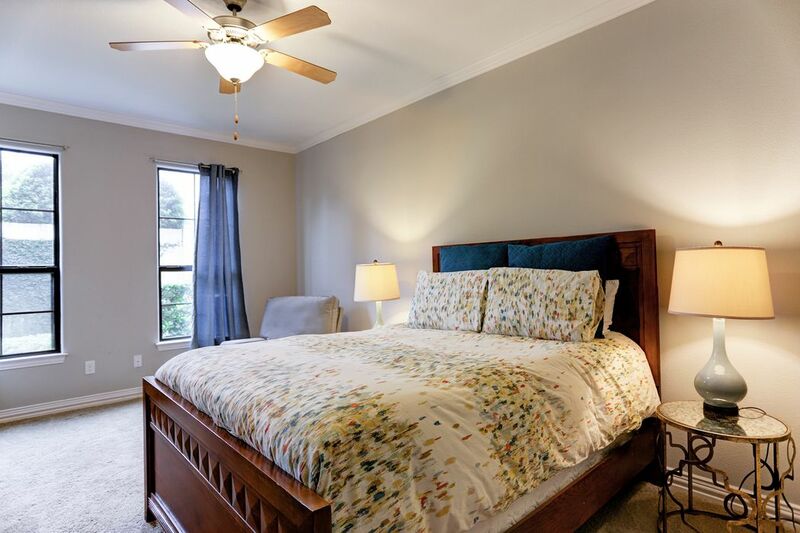 Third floor secondary bedroom features crown molding, 3 oversized windows, and ceiling fan with light. 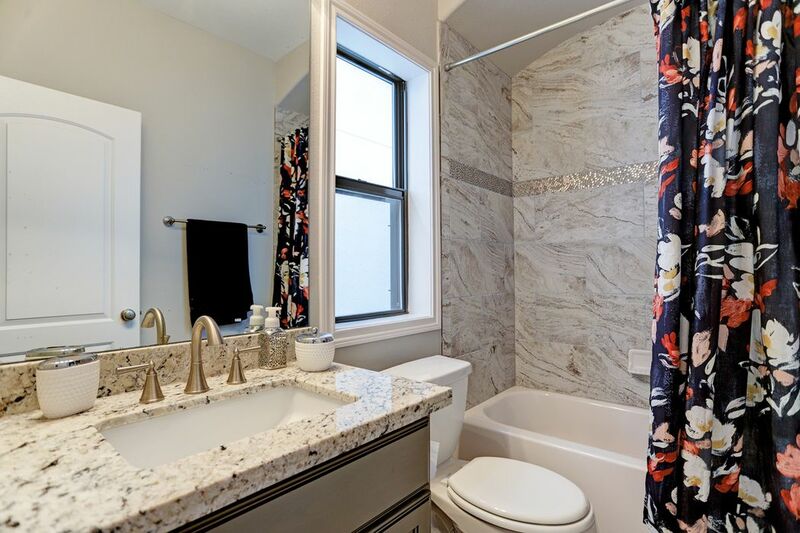 This en suite bathroom features granite countertops, and a shower/tub combo with tile surround to the ceiling. 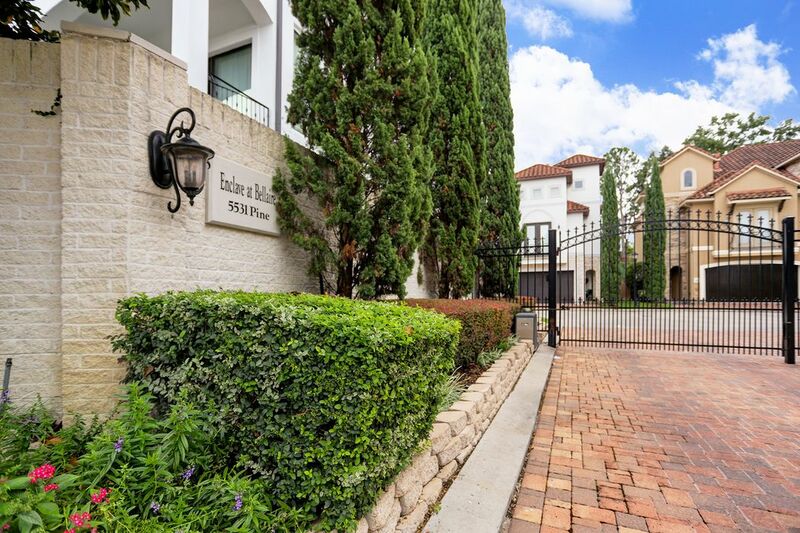 Feel secure with the automatic gate at the Enclave at Bellaire! The property also feature a 2-car garage! $379,000 3 Bedrooms3 Full / 1 Partial Baths77,081 sq. ft. 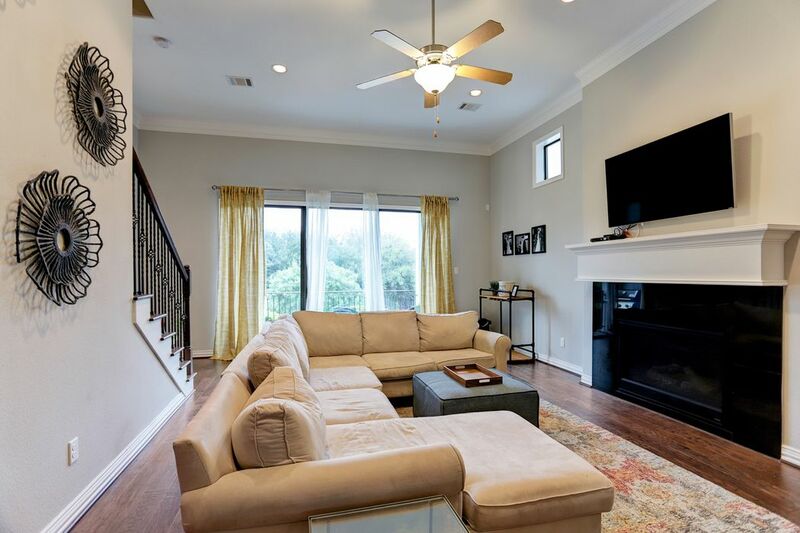 Located in a quiet, gated community zoned to Bellaire High School*, this three-story home offers easy access to the Medical Center, the Galleria, and Downtown. First floor bedroom could be a private study or a second master suite. 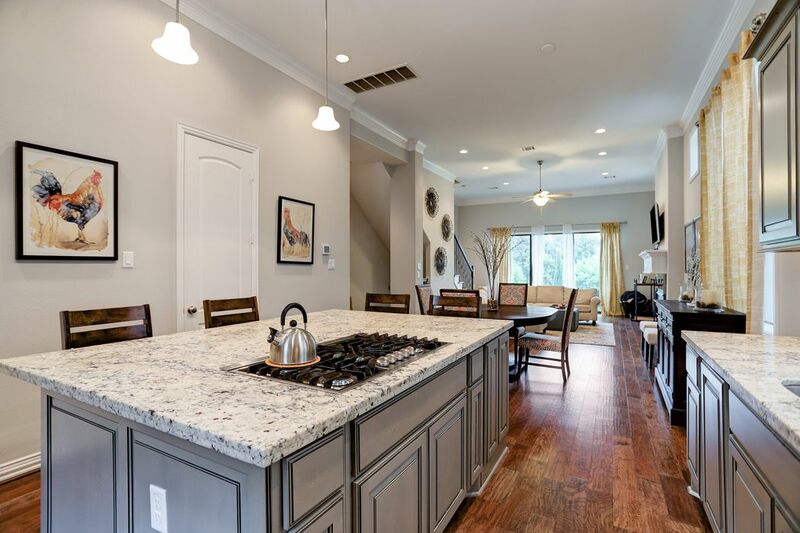 The open concept second floor living space has a functional kitchen layout with five-burner gas range in the oversized island, granite countertops, stainless steel appliances and pantry. 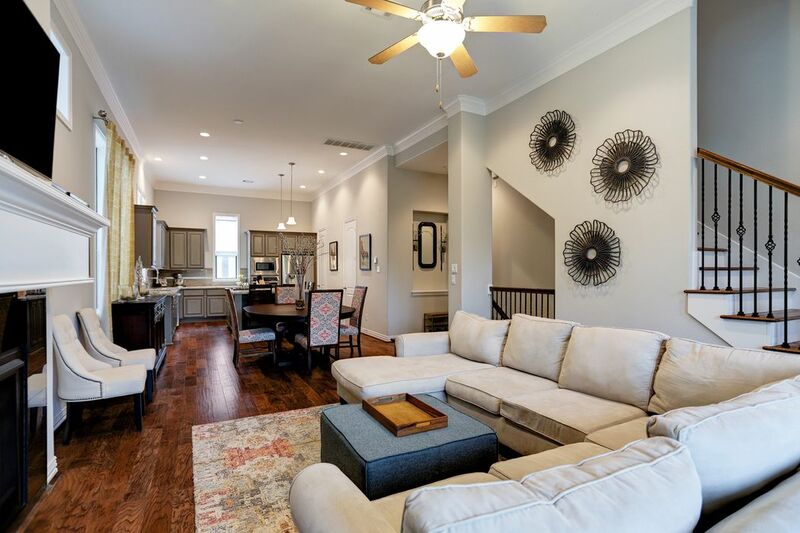 Wood floors flows effortlessly through to the dining space and living room, and is accented with fireplace, high ceilings, and sliding glass doors to the balcony. The impressive master suite features vaulted ceilings, three large closets, and double doors to the en suite bath. 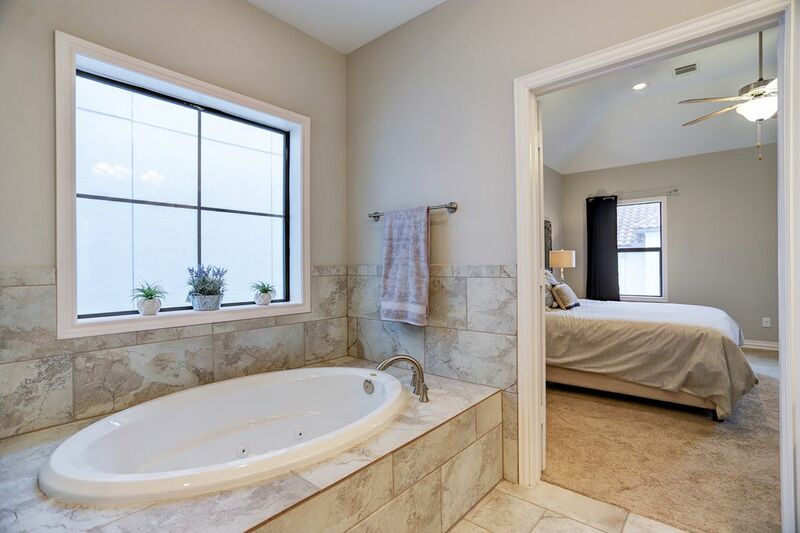 Jacuzzi tub and frameless glass shower creates a relaxing place to unwind while dual vanities offer ample countertop space. Only one owner and property has never flooded! *Schools to be verified.